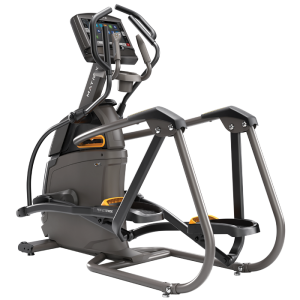 The Matrix R50 XiR Recumbent Bike combines stability and versatility while distributing weight for maximum comfort and support. 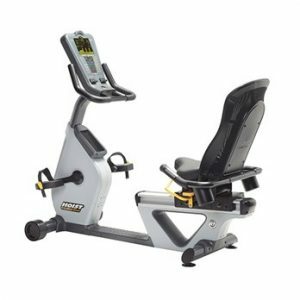 The convenient step through design of the Matrix R50 XiR Recumbent Bike features the exclusive Exact Force Induction Brake, Dual Form Frame and Comfort Arc Seat. Display Type- 16″ Class HD touchscreen (40 cm). 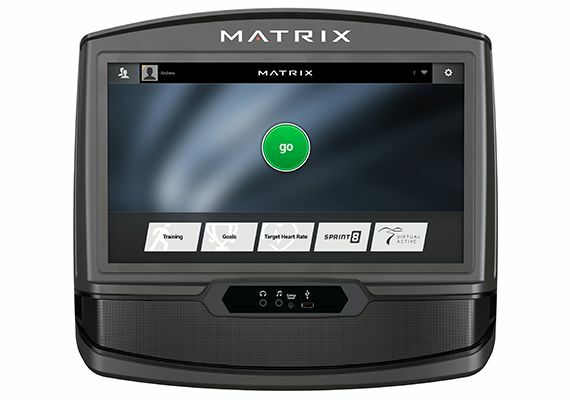 WiFi Enabled- Software updates, ViaFit Connectivity, entertainment apps. Bluetooth Enabled- Stream audio from phone, tablet, MP3 player; connect wireless headphones; connect wireless heart rate monitor. USB Port- Software updates, charge device (up to 1 amp); stream media via USB flash drives, Windows phones / tablets, Android phones / tablets. Console Apps- Simple, Track, Virtual Active, Change Workout, Weather, MyMedia, Web Browser (other apps vary by market). 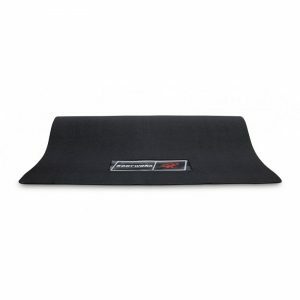 Heart Rate- Wireless heart rate, Polar heart rate strap included. Console Extras- Integrated reading rack, energy saver mode, audio in/out. Workout Programs- 11 Total – Manual, Rolling Hills, Intervals, Constant Watts, Time Goal, Distance Goal, Calorie Goal, Target HR, Sprint 8, Virtual Active American Northeast, Virtual Active Northern Rockies. Workout Feedback- Time Elapsed, Time Goal, Time Remaining, Clock, Miles / Kilometers, RPM, Current Speed (MPH/KPH), Pace, Average Pace, Heart Rate, Peak Heart Rate, Calories, Calories / Hour, Watts, METS, Resistance, Last Resistance. 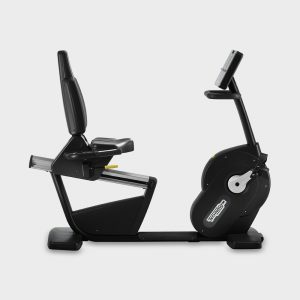 Frame Type- Dual Form step-through recumbent. Resistance System- Exact Force Induction Brake. Resistance Range- 30 Levels, electronically adjustable. Seat Type- Comfort Arc with reclining mesh seat back. Seat Adjustment- Fore/aft via easy adjust lever. Handle Bar Type- Seat mounted with resistance toggles and heart rate grips, front-assist handles. Pedal Type- Self-balancing pedals with adjustable straps. Assembled Dimensions- (L x W x H) 160 x 65 x 123 cm. 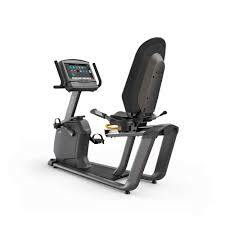 User Weight Capacity- 159 kg. User Height Range- 150 cm – 193 cm. Electrical Requirements- 220V AC power, 15A circuit. Power Supply- 12V Power cord. Parts- Frame 7 Years / Console 5 Years. Labor- Frame 2 Years / Console 2 Years.